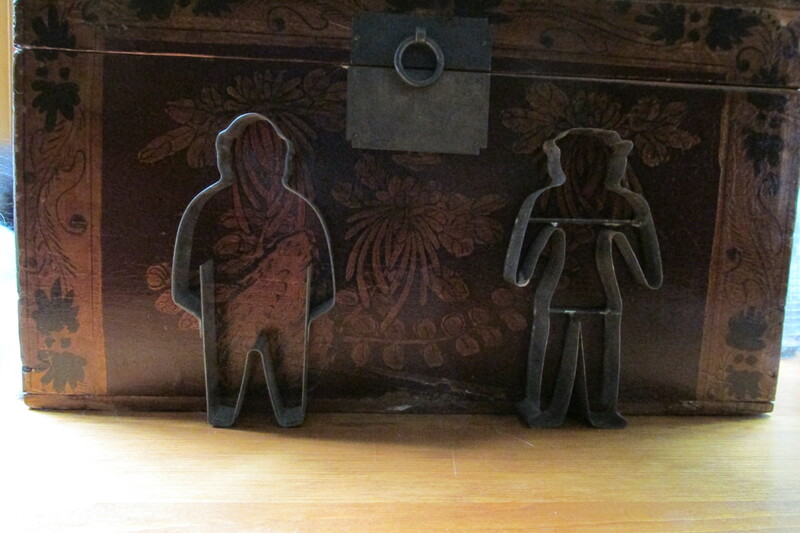 I found these “BEFORE” and “AFTER” vintage cookie cutters in Antrim NH. Before the diet, and after….cookie cutters to inspire your dieting friends. While alone they are fine, together they remind me of an ad for a diet supplement. I’m trying to figure out some way to display them together! I thought they were a warning as to what would happen if you ate the delicious cookies — with the thin shape as Before and the rounder one as After.